We’ve been keeping you up to date with all the most innovative tips and marketing strategies from the creative mind of Martin Atkins. But all of us here at Tour:Smart can personally attest to the fact that NOTHING can compare to seeing Martin speak live! That’s why our latest event, Martin Atkins: Band Tune Up is a MUST attend for all you indie bands trying to make it in today’s vicious music industry. 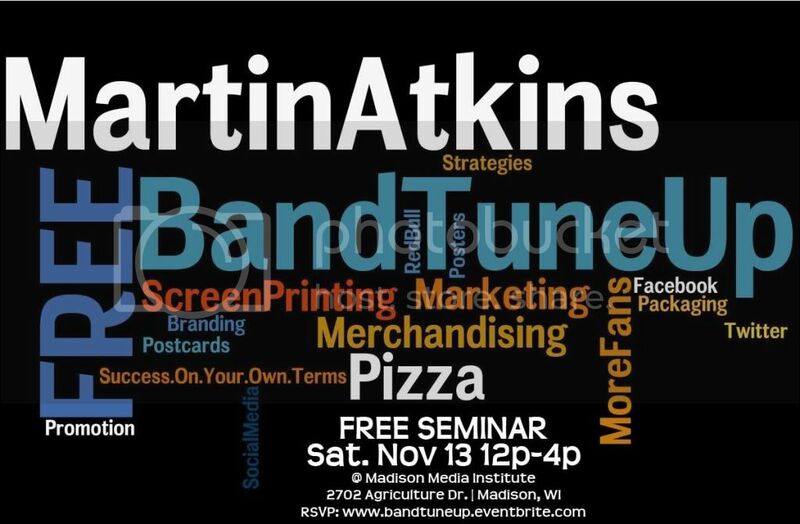 Martin Atkins : Band Tune Up is designed to make a concrete difference in your world, give you an instant boost in some of your most important entrepreneurial skill sets, and change the way you approach the business of your band..
Head over and get registered for this FREE seminar.